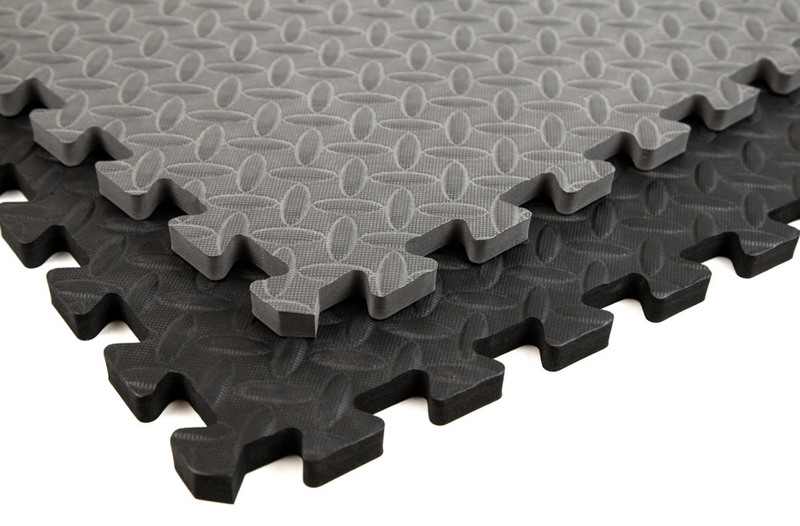 Foam tiles are soft, cushion-y and perfect for play or workouts. 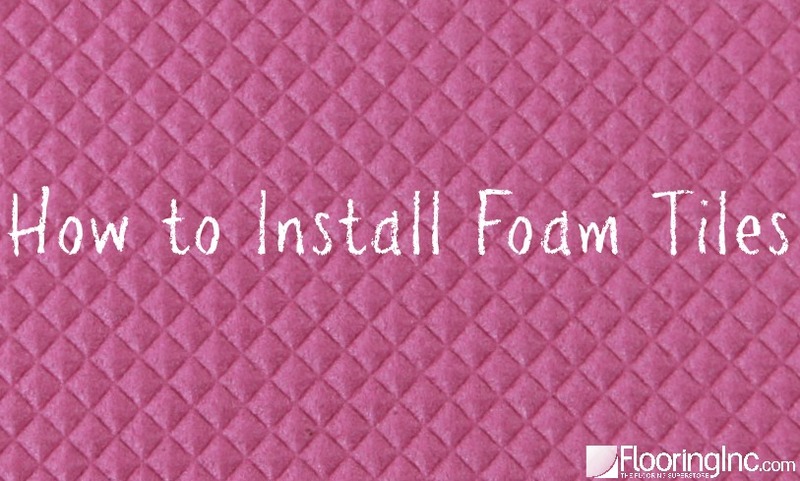 Learn how to install foam tiles with 4 easy steps, and start enjoying your new foam floor today! 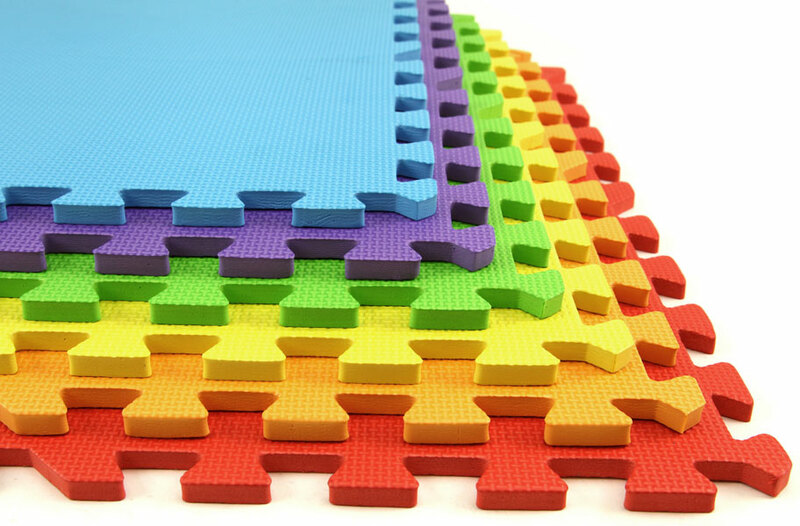 Foam tiles are a great, affordable option for a soft play area, or an at home workout space. They’re often used in preschools, daycare and gyms, but that doesn’t mean you can’t enjoy them at home as well! For kids, workout enthusiasts and clumsy people alike, foam tiles can add safety, brighten up your room, and create a fun little play nook for the kiddos. Any time I order something from the internet, my biggest concern is installation. Have you ever spent hours putting together that 1/2 price piece of furniture you bought at Ikea? Yeah, me too. But with foam tiles, there is none of that! The installation takes minutes, and it’s truly so easy that, other than the cutting part, a toddler could do it! In case you’ve still got concerns, we’ve provided a step by step instructional video so you can follow along. When you reach a wall or obstruction, measure the space and cut tiles accordingly. Use finishing edge pieces where desired. Ready to get your own foam tiles? Order your free samples today! And for more installation videos, make sure you subscribe to our YouTube channel! Can you put tiles over an outdoor Brick surface? Hi Glenn, our Life Floor series are the only soft tiles we would recommend storing outdoors. However, you may take any of our soft tiles outside as long as they are not being stored out there for a prolonged period of time. Sun and other weather can damage the tiles not specifically manufactured for outdoor use. Thanks so much for the inquiry, and please let me know if you have any further questions. Also, don’t forget, you can use discount code blog28 for 28% off your purchase. That’s a great place to use foam tiles. We recommend using a mat tape like this one that has an aggressive adhesive. You want a super durable vinyl tape with a strong adhesive that is still removable without causing any damage or leaving a residue. Our mat tape also offers a strong bond in a wide range of temperatures and can be applied easily.